Happiness Is a Mood Not a Destination: Weekend! I'm sure I've said this before but the weekends seem to go by faster and faster, anyone agree?! Although I dont have any true commitments like school or work on Monday's, I still wake up wishing it was Friday. Theres a different vibe during the week than on the weekends, and I don't mean in the getting to go out and do stuff on the weekend kind of vibe..I'm weird I know! I have so much respect for people who have to get up for work in the wee hours of the morning. Everyday of the week but especially on Mondays. I know that's life and that's what has to be done but still. Although I don't work, I know that sleeping in isn't something that should be taken for granted. I'll admit, I sleep until 9 or even sometimes 10 which is terrible, I know. I do that while so many others have been working for 4 or so hours already and on their 10th cup of coffee or whatever. Some people though, just don't care. They don't have a job and sleep they day away and don't care that so many others would give anything for an extra hour or two of sleep. I will say that I actually miss getting up early like when we went to high school. As much as I try to get up that early now, its hard. Some days it comes easy but others not so much. I loved getting up and being able to watch the sun rise and feel the warm in the air while walking to school. It was nice! Ok, so a little side note: This is what I love about blogging. The last paragraph wssn't planned at all...like seriously. That's why I love writing so much. As I'm typing, I think of something else and then can just come up with things in an instant. I love it!!! And I love that its coming from me, the true me. One of my biggest hates is when your at school and they stick an essay question in front of you and make you write about that topic. Have any of you felt the same way? I understand its for school but its so hard to write about something specific, especially if its something you dont have an interest in. Anyway, on to the point of the post. The simple, yet great weekend we had. Friday night: Brian made asked me to attend a Monarchs hockey game. Two of our best friends (who are married also!) who work at PetSmart with Brian have season tickets. They ask us to go when they have extra tickets. One of them was working (hubby), so we were asked to go. I'm not a sports fan at all and would rather be sitting at home relaxing but because I was asked and I enjoy hanging with this friend I said yes. I spent the two hours on my phone checking emails and eating junk food. Nachos and ice cream..yum! Its also very loud, obviously, which hurts my ears which is another reason I dont really like going. I made myself happy though! Saturday was a nice day spent with the parents. Brian started work at 2 so my parents and I went shopping and to dinner. First we went to Lowes and bought this: Yes, a sit down lawn mower. Why? Well for the past ten or so years we've had a friend mowing our lawn. My dad has bad asthma and cant really be around grass that much (mowing it at least). Unfortunately that friend stopped doing it last year. He did alot of different peoples and so it was like a side buisness. My parents thought about it and realized that itd make more sense to buy this then have to pay someone every single week for the whole summer. they were paying our friend 30 dollars a week from May-October. My dad claims I'm going to use it too...we'll see about that. I'll probably wreck the whole yard instead of help it but we'll see. Then we went to Home Goods to look at curtains for my parents room, which they just re-did. We found some we liked but apparently even though they are a brand new "product" or whatever, they are back order but then it said they weren't putting them out anymore. The lady was puzzled and so we didn't get the curtains. Boo, they were so nice!! After that we went to dinner....Olive Garden! Yum! Today? I just got home from choosing classes for Fall. I'm debating on whether to take a class in the summer or not. Opinions anyone? Seriously, help me! I've taken a class in the summer twice but I'm not sure if I want a break or not! So, that was our weekend. 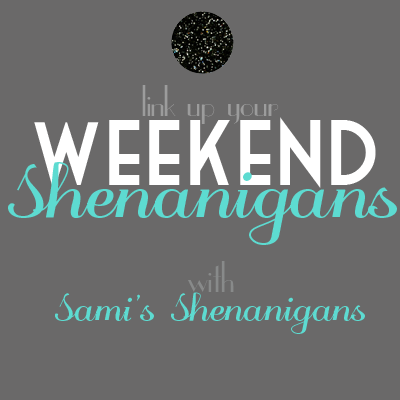 I enjoyed reading all your weekend recaps and am ready for the week ahead! The weekends really do go by way too fast! I am a nurse so having the weekends off is nice but they just fly by sadly :( sometimes I wish I could slow them down quite a bit... I love Home Goods! You can always find cute little things in it! Sounds like it was a good weekend! It doesn't hurt to take one class in the summer if you don't have any big commitments! Agreed! Weekends go by way way too fast!! Also, forgot to mention Perkins Rowe is a fun place to go when you are here. Movies, shopping, food, Barnes and nobles, frozen yogurt! Lots of stuff to do! Thanks for following my blog girl :). I am your newest follower as well. Enjoyed reading about your weekend, but so sad that they go by WAY TO FAST!